Most of the Air O Swiss is smart model, ultrasonic version and can be used in large area rather than small bed room. Let’s discover which version is made for your house. This is one of the rare small and personal used model you can find at Air O Swiss. Also one of the cheapest(?). Its purpose is for traveling purpose or you can customize to use it it your bedroom as it is ultrasonic. Bringing this cool mist humidifier with you means bringing fresh air together with you. This model is small and is especially designed to fit with your travel bag. The space saving function is the tank, instead of using the removable tank, you can use your water bottle, one of the indispensable things when traveling. Also, this ultrasonic function makes you relax during your travel. For technical issue, this model has the transcontinental AC adaptor. Hence, you can carry it from North America to Europe, bring it to your office or any house you stay for a visit. Everywhere you go, no concern with the polluted air around thanks to Air O Swiss traveling humidifier. New technology allows you to adjust warm or cool mist as you like. This technology will automatically adjust the temperature of the mist when the room conditions change. This version of humidifier has a modern design with transparent water tank and large LCD display the temperature. You can also set the sleep mode around 8 hours with warm mist or auto mist. If you use mineral water for vaporization, the special demineralization cartridge will prevent the lime scale or mineral residues. However, this version can only last for 9 hours of continuous period, which means during your weekend at home, you can not enjoy continuously for half a day with this one. The spout if this model allow to give direction for the dispersed steam in the air but sometime, it may cause water drops. 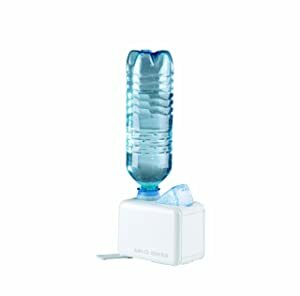 This is one of the ultrasonic electric saving version of Air O Swiss, because it is the cool mist humidifier. 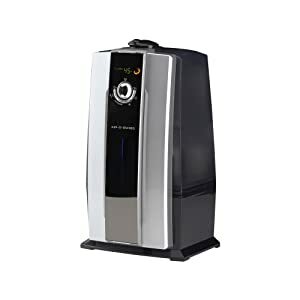 This provide you cool mist but only in a small area – better used in bed room. Similar to other models of Air O Swiss, this humidifier avoids residues from mineral or lime scale due to the special cartridge. With the red light automatically alert for no water in the tank, it will not allow you to turn on until the tank is filled with water. 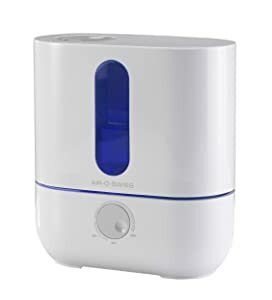 This humidifier version allows fragrance or essential oil used together. Therefore, the air blown out will help you more relax and stress relief. One of the interesting features that proves a particular design for the bedroom is the blue light LED for a romantic night. Cool mist with blue light brings clean, fresh and cool atmosphere to start a tight sleep. 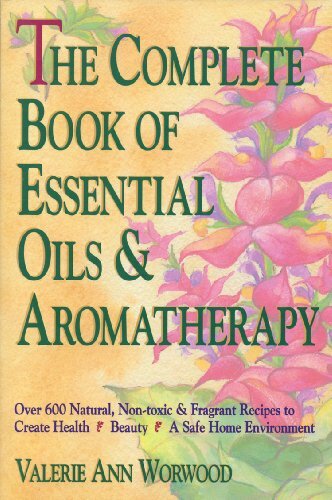 Aroma coming with sleepy light is a preferred treatment for your stress relief and metal grief management. 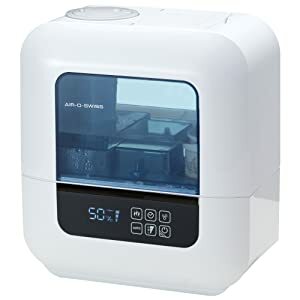 Similar to all smart models of Air O Swiss, this humidifier has a demineralization cartridge, automatically monitors the temperature of blown out air and shut down when the water tank is removed. Warm or cool mist will be automatically managed. The reasons for it to be the most expensive is its induction technology. The control surface panel used the touching technology just like you are controlling on for smart cell phone or tablet. Also its largest tank of all Air O Swiss models allows to cover the mist in up to 1000 Sq Ft room. You can buy it to improve the atmosphere at work, or if you live in a big house, just open doors of all rooms inside to ensure the humidity controlling all over your house. It is introduced with unique self cleaning mode. However, make sure that it is always in the good condition and brings out the best performance, you should check and clean it at least one or two weeks. Some special features like auto-remind when the water level is low, ambient night light for big house and transparent tank poses a design for smart modern life. This model is similar to other digital versions of the Air O Swiss. Still large LCD display for temperature, auto adjust into cool mist or warm mist when the conditions change and demineralization cartridge. Beside, this version has a large water tank that can extend the vaporization up to 860 Sq Ft – second largest area among Air O Swiss humidifier models. However, for this version, it can only work for 8 hours continuously therefore it should be used in the office. The design is modern as it looks sleek and compact. The producer also promises that this device is designed for easy cleaning and using. 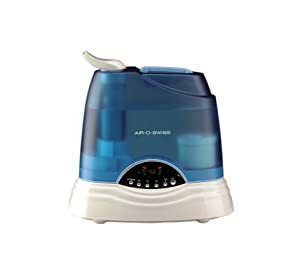 Air O Swiss is pretty famous for digital humidifiers that can automatically adjust to warm or cool mist when the atmosphere changes. Digital version comes with the LCD screen that allows users to monitor the temperature. Also features like sleep mode and auto alert then turn off when the water the the tank is low or when the tank is removed are also a favorable. Air O Swiss focuses on longer life of the products by making demineralization cartridge that prevents residues in the inputs. Ultrasonic for all types of humidifiers is preferred function for a smart and modern home. However, Air O Swiss humidifiers are not long lasting operators, averagely 8-9 hours continuously. Despite this disadvantage, new technology is always preferable. Buy AOS digital for the house to indulge yourself with the appliance of new technology and improve your health with fresher and cleaner air.